Samsung’s upcoming Galaxy Note 10 model could be expanded to a larger lineup of devices that would include four different configurations. If recent reports are anything to be believed, what Samsung plans to do is launch a standard Note 10 smartphone alongside a larger Pro sibling that would boast upgraded specs. These two models, in their turn, would receive 5G variants, so overall, Samsung’s Galaxy Note lineup would end up boasting four different choices. According to a recent leak from @UniverseIce, the larger Note 10 could be called Pro, and not Plus as the existing name scheme used by Samsung would suggest. 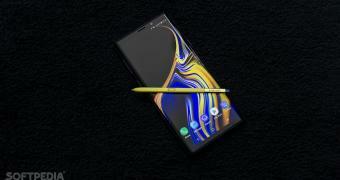 The Note 10 Pro could feature a 6.75-inch display and a triple-camera configuration on the back, whereas the standard Note 10 may only come with a 6.28-inch screen and a dual-camera unit.